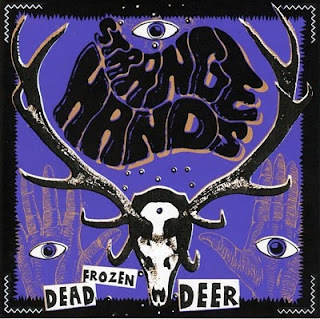 Ongakubaka: Strange Hands - Dead Frozen Deer 7"
French 60s garage throwback jammies that you'll need to queue up for summer weather. Cleaner sound than the last few French garage acts I've posted. 4 track EP out on A Fistful of Records. If you're in the mood for some peen, the NSFW video for the Twist-worthy track "Living Dead" is posted below. hey, last year you posted 2 7"s from florida that came out on shadowplay. do you know if they've put anything else out? i've been totally obsessed since i found them here last year and have been waiting for something new. thanks.